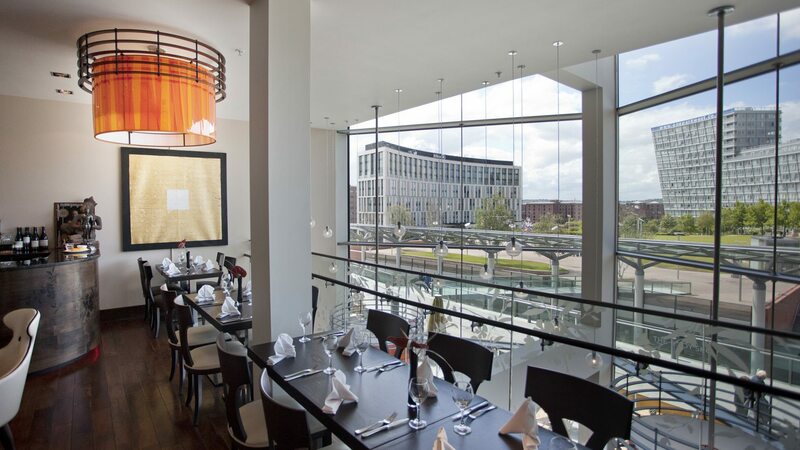 Having already worked with Thai Leisure Group on their Chaophraya and ChaoBaby restaurants, we were brought in to carry out a full turnkey fit out at Yee Rah Bar and Grill at Liverpool One mall. Yee Rah was a fast-track job, with three to four weeks’ work taking place in just eight days. We carried out extensive planning, and our teams worked around the clock for the duration of the project to complete the work on time. We completed an entire turnkey fit out at Yee Rah, adapting the existing layout, supplying lighting, furnishings and fittings; manufacturing and installing bespoke bars and an eight-metre theatre kitchen, and adding fixed seating and custom furniture. The new central island kitchen features new, energy-saving induction wok stations, a front servery pass with bespoke granite top and a faceted glass frontage. We designed and built a bespoke commercial bar, complete with an eye-catching illuminated frontage and sleek granite counter top. There’s always an element of theatre at Thai Leisure Group venues, and Yee Rah was no different. We installed a seven-metre water fountain, and a stunning glass chandelier in the stairwell. The seating at Yee Rah is a mix of plush fixed seating, upholstered alternately in cream leather and rich, Thai-inspired fabrics, wooden dining chairs and tastefully upholstered armchairs, custom made in Italy. We supplied and installed the bespoke wall and floor finishes at Yee Rah, replacing the existing floor with warm timber and adding interest to the walls with multi-faceted brickwork and upholstery. In addition to the main kitchen, restaurant and bar, we created an upstairs prep kitchen and upstairs bar, and fitted new, accessible toilets in this two-storey venue. Custom LED lighting, bespoke glasswork and huge mirrors help to maximise the sense of light and space at Yee Rah, while authentic Thai fittings and ornaments complete the sumptuous look.